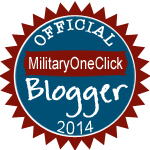 A military spouse lifestyle blog. Stories, tips and how-tos from behind the ACUs. A few weeks ago we packed our bags for our yearly family reunion to Newport Beach, CA. It’s a time to pause, and breathe. To reconnect with family and bank new memories. This year Kennedy is walking, and for me, watching both girls run for the ocean was magical. They played with the kids from neighboring houses, spent hours upon hours playing in the sand, and ate more chips and salsa than I care to think about. As our extended family grows, I become ever more aware of the memories my girls are making, and insuring beach memories has become a high priority. We are grateful for the opportunity to make this year another California adventure success for the books. And that makes me happy. Here some highlights. Fiona and Kennedy, cousins born 18 hours apart. Whitney kite flying with a neighbor friend. I hope they share many more summer memories together. Squirt got her chance to bury me. Also, my beautiful sister is engaged. She was able to arrange a David’s Bridal fitting while I stopped in Arizona so that I could attend. Here are some of those, too, because I think she’s stunning. Too bad she’s not choosing any of these dresses. She wears them all so well. Aw you bought that purple suit with the flowers for W when the guys were deployed, didn't you? Crazy that K is wearing it now! Edos, I adore that suit. I had to keep it! Actually, I have had to buy only a few new things for K. She wears all of W's hand-me-downs. They grow out them so fast that they're practically new. So cute! I love these pictures! You're family is so sweet! Also, I think I would refuse kisses from such a scruffy face too ;). Looking forward to more memories! E,Brandon grows his beard any time he gets leave since he can't normally stay unshaven. Thanks for your kind words. 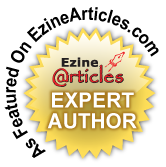 All text and images on this blog are property of Erin Bettis unless otherwise noted. 2012-2016. Powered by Blogger. My name is Erin Bettis and I am Patricia's Daughter. When I rest my hat as military wife and mother to daughters Whitney and Kennedy, I spend my down-time reading, writing, and laughing hysterically at my goofy husband.